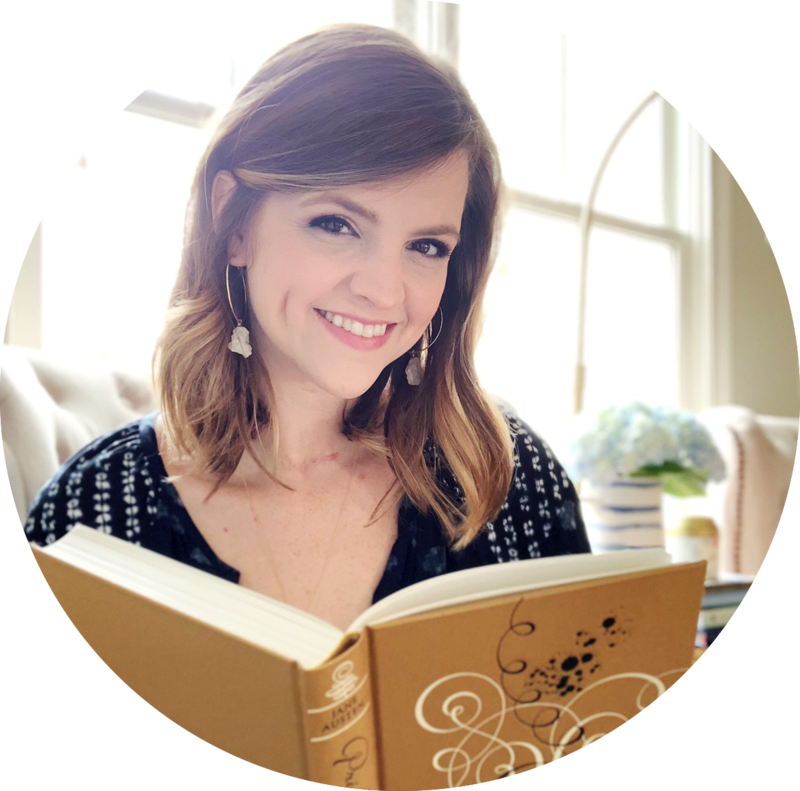 Last week, Kelly debuted a new feature on her blog called Book Pushin'. She was sharing her love for a historical fiction novel called The Bronze Horseman, a book that I'd purchased months ago in a Kindle sale. The more she talked about the book, the more excited I got about finally reading it. The summary had always interested me, but I was put off by the fact that it was 810 pages. This book had been sitting on my Kindle for exactly one year. For some people, one year isn't really that long for a book to be sitting on their shelves, waiting to be read, because they have an ever-growing TBR pile. For others, like most of my real life friends who are readers, it's almost unheard of to buy a book and then not read it almost immediately. I had purchased this book, on sale, and then didn't think twice about when I was going to read it. If you'd asked, the best you would have gotten would be a vague response along the lines of "hopefully soon." When did I last buy a book and plan to immediately start reading it? I forgot what it was like to buy a book right when I wanted to read it. I lost that love of racing to the bookstore because I just had to continue a series, find more from an author, start that book I saw in a magazine… My book buying habits have completely changed since I started blogging. I have a spreadsheet of all the books I own that are unread, and one of the columns is for the month/year it was purchased by me or gifted to me. Y'all, almost every single book in the list of 100+ has been added to my shelves since 2011. When did I start focusing on the wrong thing? I'm not saying that I don't still read a ton. Of course I do! It's just that I've noticed this obsession (for lack of a better word) with buying books. 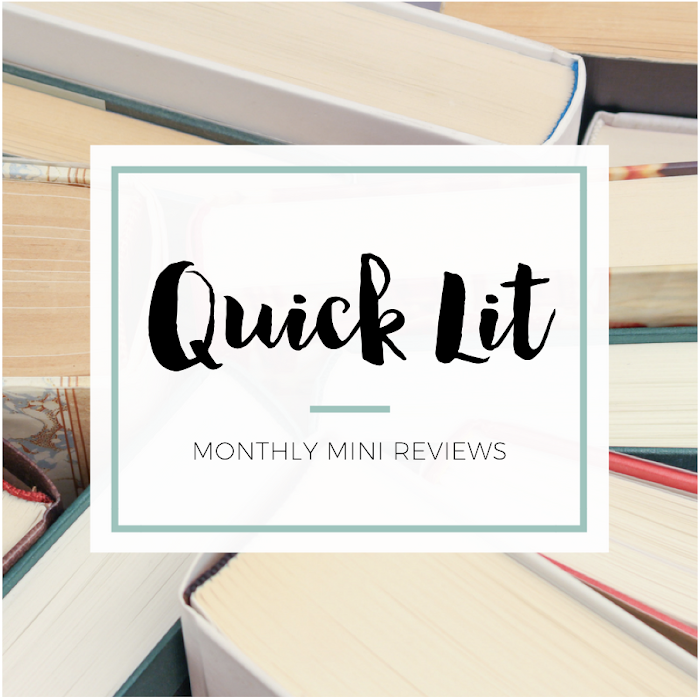 I'm always scoping out new reads, constantly adding books to my Goodreads wishlist, browsing NetGalley and Edelweiss to see if there's anything that should be on my radar. Yep, I said it. I'm rapidly adding books to my shelves for various reasons: they were recommended to me, they were on sale, I have heard good things about them, I just read something else by that author, the summary sounds interesting and the Goodreads rating is high... You name it. There's such a focus on acquiring books - something that doesn't seem that odd when I look at the book blogging world at large. So many bloggers love getting new books just as much as I do! They're sad little books just waiting to take me on an adventure. I'll see the pretty spines and remember the reasons I bought them, but that's not always enough to make me read them (absorbing!) and hopefully fall in love with them (adoring!). I wrote earlier this year about framing my goals and resolutions in terms of what I want more and less of in 2014. One of those was shopping, and this post is just an extension of that goal. Just because I can buy it, doesn't mean I should. Just because I want to buy it, doesn't mean I need to. There's nothing wrong with buying books, but I do want to be conscious of how I'm spending my money and where I'm directing my focus. My focus shouldn't be on acquisition and the thrill of the purchase. It should be on the part where I take the time to read the books I've bought and remember all the reasons I wanted it in the first place. This has been a long post, and I'm impressed if you made it this far. Truthfully, I wrote this mostly for myself - a reflection on the fact that there's something to be said for self-control and delayed gratification. Two things I want to cultivate more of in myself this year. ...KIDDING! But seriously, I LOVE the equation part of this because it rings so true. Loving books=reading books. I have always had the mindset that the books that I buy or make it on my bookshelf are representative of my book tastes. I have always wanted my bookshelf to represent my reading soul in a way. I never want to fill my shelf with "just okay" books which is why I'm a weirdo and usually don't buy books unless I 1. Know the author's previous works and know I will most likely love it. 2. It's in a series I love 3. I've already read and loved it. I don't know, I just like to imagine that if somebody were looking at my bookshelf they would be able to tell a little about me or if they pull out any random book I own I could say with confidence that I love that book and this is why. If you make it to my bookshelf and I bought you...well then, you should be proud of yourself little book. Omigosh ... this is seriously one of the BEST POSTS I have read in a long time! This is me. So, so, SO me. I am embarrassed to count how many unread books I have on my shelves...some dating back to long before I started blogging! I'm just finishing the first of three books that I got for my birthday last year, which I've also had sitting on my shelves for nearly a year! And these were three books that I was SO PSYCHED to read when I first ordered them ... but then they just sat. And sat. And sat. But I'm trying to be better about reading what I own -- although I have still bought a few new books lately. BUT I've only read one library book so far this year; the rest of them have been books that I own! I totally agree with you 100%. I don't keep a lot of books in the house, and actually only buy books I can't get at the library - read them and then donate them. But I do fins myself getting caught up in eBook sales. That by with 1-click makes it way too easy for me to get carried away! This post is amazing because it's so so so true. I get so easily caught up in acquiring books, and over the weekend I cleaned and organized my bookshelves and realized how few of the books I own I've actually read. And like you, some of these have been on my shelves for years. One of my goals for 2014 was to read more books from my shelves that I already own, and this post has been a great reminder of why I made that goal in the first place! I need to bookmark this so I can refer back to it. Seriously, this post is just perfect. Thank you for writing exactly what I've been thinking, and what I really needed to be reminded of! Oh girl, and I so with you! This really resonates with me because I feel I have fallen into the same trap as you. Book buying bans don't work for me either, so (with limited exceptions) I made a Golden Rule of Book-Buying for myself this year "I can buy any books I wish, but only if I am actually ready to read them." I was kind of embarrassed that I actually needed to implement that as a rule, but I got so into acquiring books that it had become a vicious cycle of excitement followed by disappointment because I didn't have the time to read all my latest acquisitions. While new books are always exciting to me, I really wanted to get back that super-excitement of being ready to crack a book open the minute I get it! I love this post! I tend to go in phases where I buy, and buy and buy books that I have no idea when I'll read, and the phases where I don't buy books at all, I just get them from the library. I do't know what sparks one phase or the other. But I do know that it is crazy to buy tons of books, and then not read them right away. If I didn't need it right away, why didn't I just get it from the library? But I totally agree - Loving Books = Reading Books! I agree with every single word you said here, however I can not seem to buy less books. Well, I take that back, maybe a bit LESS but I will still always buy, and then I get in reading ruts, and the problem is NEVER not HAVING a book, but it is wondering WHAT to read, and then the stress of that, brings on the RUT. WHO WANTS THAT NONSENSE!? Not I! Recently I started using the library again, and I think that's going to be a wonderful way to at least attempt to avoid this exact issue! Thank you for posting this! I think you dragged a whole lot of issues out into the open. 'Loving Books = Reading Books' I feel is the most important point we all need to remember. I don't recall either when I last read a book the moment I bought it. Library books, yes, all the time because of their due dates but with books I buy, I keep feeling like I have all the time in the world to read them. Now that you've put reading and buying books into perspective, I'm even more determined to read the books sitting on my shelf first before buying a load of books again. First of all, I'm really enjoying reading all the discussions you've had lately! They're well written and thought-provoking, and this one is no different. Ever since I got a Kindle and became a book blogger, I actually scout out Amazon for deals. I made a spreadsheet of all my Kindle books at the beginning of the year, bolding those that are unread still...and let's just say a large percentage of the spreadsheet is bold. I'm pretty good with buying physical books - being a blogger and following other book blogs has made my TBR list increase incrementally, but because of that, I've actually cut wayy back on what physical books I'll buy. If I see a great deal for Kindle, I'll probably buy the ebook version. Otherwise, I will get on library hold lists. I will admit that I don't go to book stores all that often anymore. When I do, I feel like there are always very specific books I'm looking for. It's nice to have ideas of what sort of books I'd like to buy, but it does take the fun and spontaneity out of browsing in a book store. I think you make a lot of valid points in this post. Even if we're supporting authors/publishers by buying their books, it would be better if we support them by actually reading the books and then blogging about them or simply discussing them with others. So far the only thing I've come up with is doing a weekly feature to make reading those older books exciting again. But obviously the acquiring needs to slow at the very least. Thanks for a very thought provoking and lovely post. XO! Hi! You are my life guru for this year. Less is more, I think of Hannah. And this, with the books. It's so true. There is something about buying them and saying you having them, but if you aren't doing anything with them... what's the point? The book buying ban really worked for me (and I still have to write about this) because I notice I need things in moderation. Just because I do want something doesn't mean I should buy it. It's so right about everything. I think a lot of my "bans" ARE do to money concerns just because I'm the only one working right now but it's also because I try to focus on what I really need to be happy and it's not that much. I love buying books on sale and used, so naturally I have a ton of books. And like you mentioned earlier, I buy them without thought to WHEN I will read them. Often I buy a book that I see in a sale or used if I have others in the series and I want to complete the series. Or I buy the book because I KNOW I want to read it and I will get to it "hopefully soon." But I almost NEVER EVER buy books full price. A recent exception was Ignite Me when I went into B&N and paid full price (which HURT) for the book I had on hold for me. There is something really fun and enjoyable to me about finding a book used or a Kindle sale - a book that has been recommended to me or that I have seen someone else enjoy or that is on my "wishlist." (The exception to this is Christian nonfiction, where I will go crazy and buy a ton of it, but I can almost always find it on sale. You've seen just a snippet of what I keep on the shelf closest to my bed and it has probably tripled AT LEAST since then and I'm embarrassed to show all of it to you.) BUT I love this post and the thought process and perhaps one day I will go through and pull some books out to trade or something. I just love the thought that I OFTEN flip through or walk through and pull a book that I acquired a while back and actually begin it. I love that option. Hannah, if we weren't friends and didn't think along very similar lines sometimes, I'd suspect you of invading my brain. Because, seriously, I've been thinking about this exact same thing lately. My book buying (or even just acquiring from the library and publishers) has seriously gotten out of hand! I'm drawn in by the lure of pretty covers, promising stories and recommendations from friends -- and wind up just growing a book garden out of the piles and piles and PILES of books that I get from all these places. I've been thinking a lot about living a simpler life (and not just when it comes to books, but in all aspects of my life. But since this is about books, we can focus on that!). One of the things I've been reflecting on is how reading is supposed to be FUN and SPONTANEOUS for me. Growing up, I read (mostly) whatever I wanted, finishing a book before I could even go to the bookstore and get a new one! I miss that feeling - reading based on what my gut told me I should, or what would jump out at me in the bookstores. So, I've sort of been on a mission to ease back into that mindset! While I appreciate every single opportunity an author or publisher has given me (and will continue to maintain relationships with both), I also want to make sure that I'm reading stuff that's fun for ME and not just things that I feel I should be checking out or reading because everyone else is. It's actually one of the reasons I admire you and your blog so much, because I feel that you do manage to read the stuff that truly appeals to you and it shows. Like you my book buying & reading has changed completely since I started blogging. I used to read a book or two and not buy another till they were all read. And now, well, I don't know the last time I've bought a book and immediately read it. I have stopped buying books though, at least mostly, but that doesn't mean I've stopped acquiring them. From review copies, to goodreads giveaway wins, to paperback swap... they come in faster I can read them. In fact, if I didn't buy a single book it would probably take me two year to read all my unread ones. But maybe eventually... I'll find a way to get it under control better.